An award-winning U-Fly experience over the beautiful mountains and cyrstal clear Lake Wanaka offers the finest alpine sightseeing in the South Island of New Zealand. This scenic flight and your chance to fly the plane will be an incredible highlight of your holiday. Rated as the #1 must do activity, using the smoothest and the quietest aircraft in New Zealand. 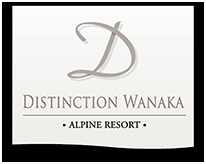 For more information visit www.u-flywanaka.co.nz or contact our Distinction Wanaka team who can assist with information and bookings. Incredible scenic flight plus your chance to fly the plane over stunning Lake Wanaka and mountains. No experience necessary! U-Fly Wanaka do the take off & landing.